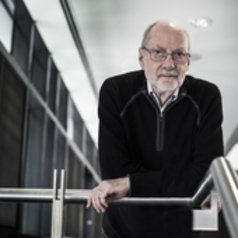 Graham has spent the last 50 years working at the interface of science, environmental management and society. He has held senior academic and research management positions in Canada, England and Australia. He was the foundation Chief of CSIRO Land and Water where he worked extensively on agriculture, irrigation systems and water management in the Murray Darling Basin. He was a member of the Australian National Water Commission Aquatic Ecosystem Advisory Group and was chair of the Science Reference Group for the “Living Murray” program. He is currently Hon Professorial Fellow of Infrastructure and Environmental Systems in the SMART Infrastructure Facility at the University of Wollongong and Vice President of the Freshwater Biological Association in UK.